Most if the touristy accommodation is around the west coast of the island. In fact almost all the hotels and apartment blocks are here. 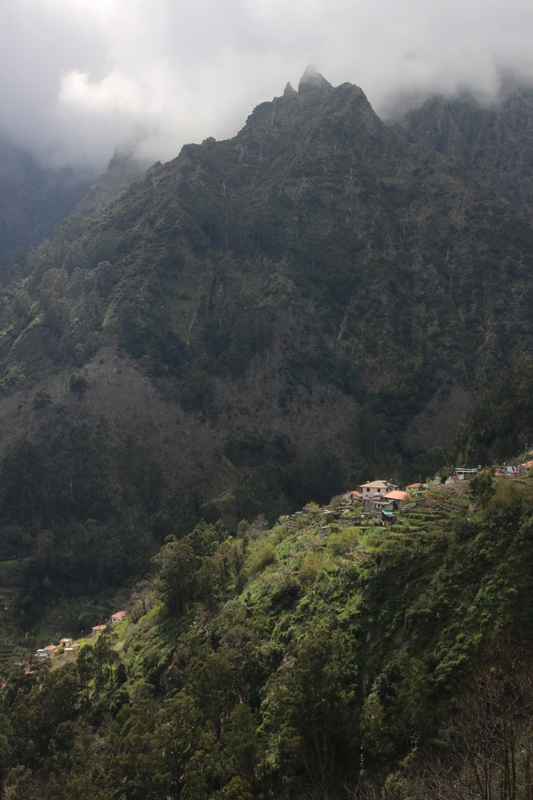 So come with me on the bus to see inland Madeira and explore the mountains. First stop is a view point at 300 metres where the city is spread out below us. 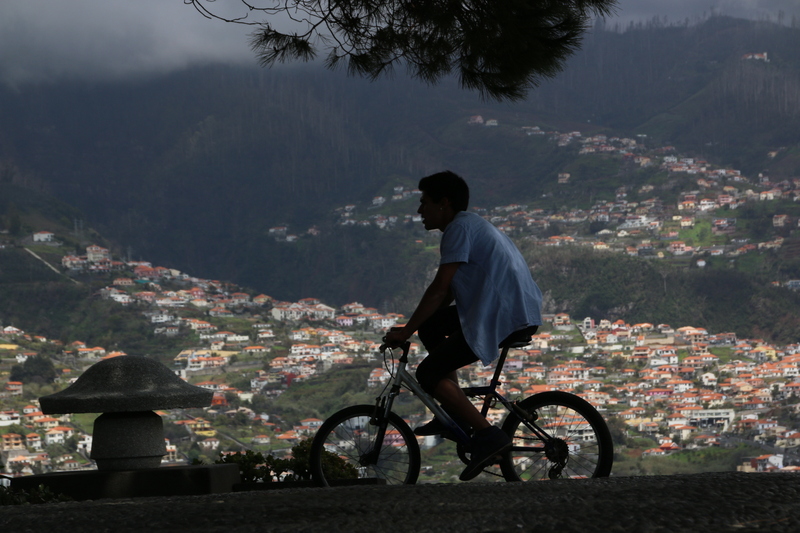 200,000 live on the island with 150,000 in Funchal. You get a real feel for the landscape with the housing spreading up the ridges stopping just short of the tree line. 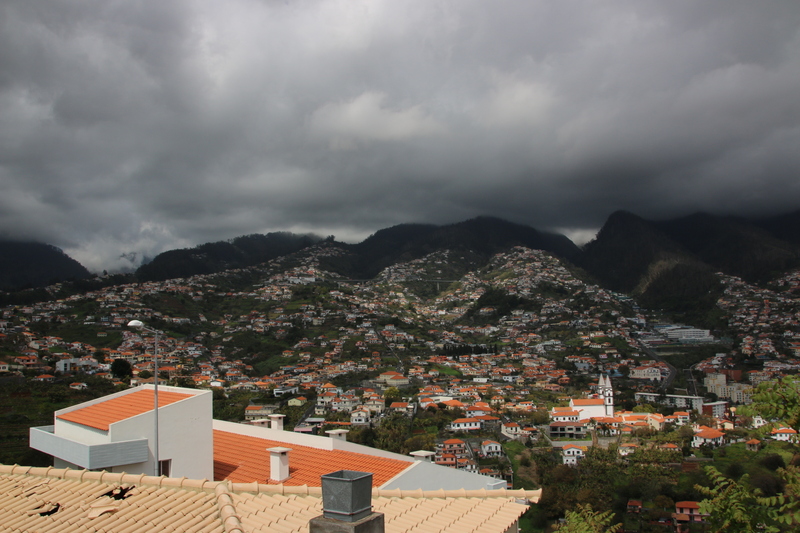 From the coast it looks like the central spine of Madeira is always cloaked in thick, thick cloud. This journey spends time up in the clouds but it only rarely hides the powerful landscape of towering eucalyptus trees, craggy rocks around outcrops, and sharp peaks and ridges. 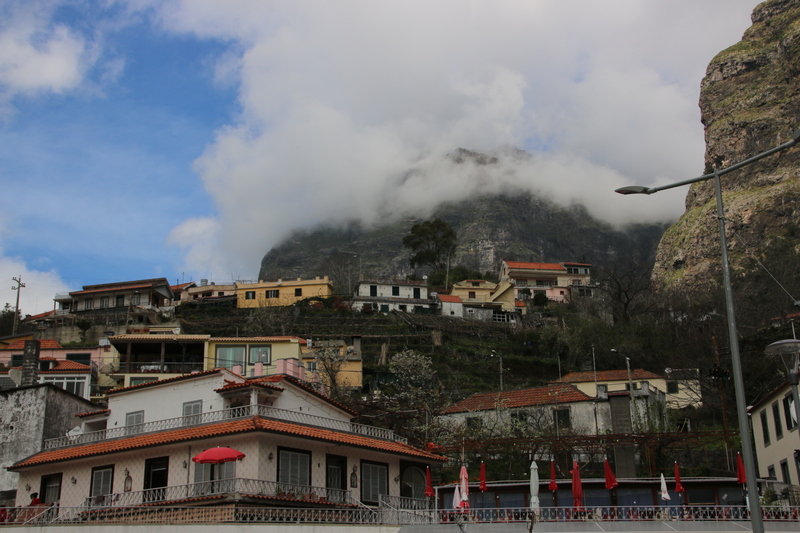 The next stop is at 700 metres in a small local village with few airs and tourist graces. 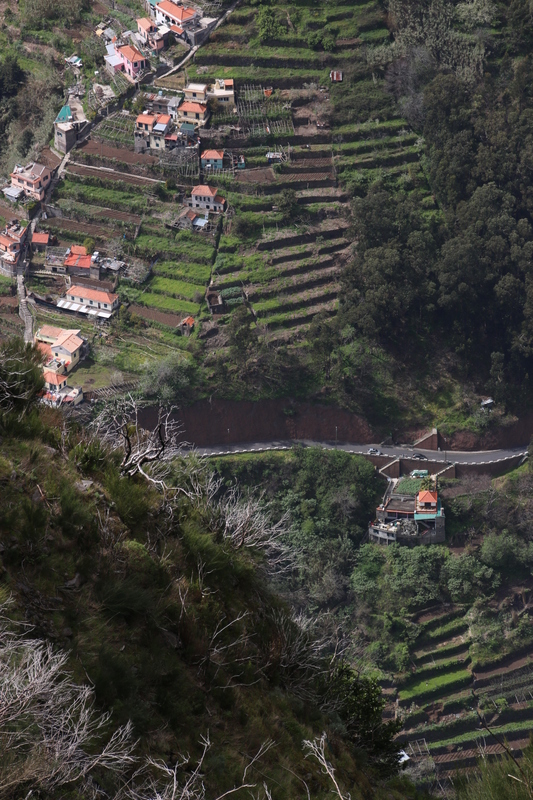 The sun pierces the cloud to highlight small farms and rich terraces. The locals too what all locals do in rural areas the world over. 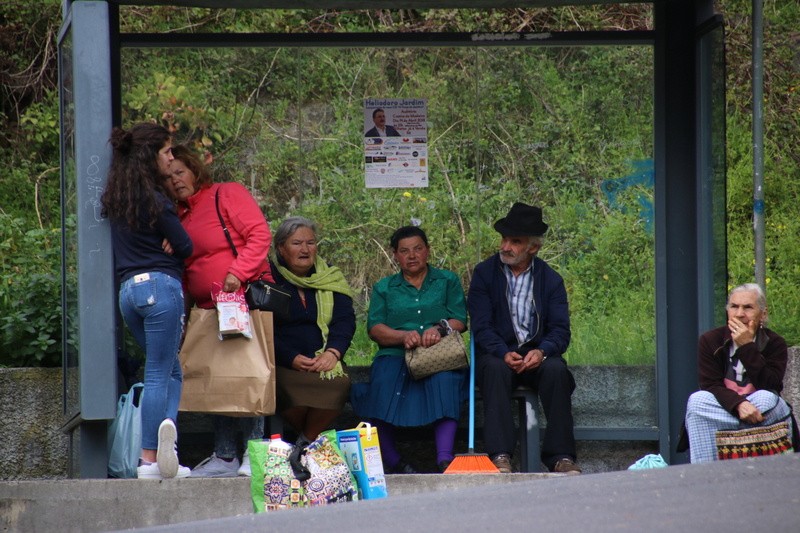 They sit around chattering together and putting the world to right, they get to market, in this case on the local bus, and travel back home with their baskets bulging and they show off their new clothes and that new hataround their best purchases. 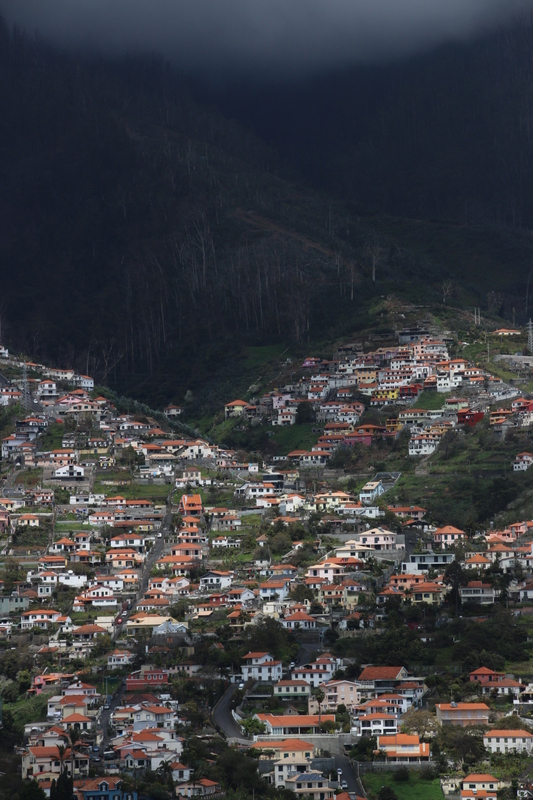 The final stop is high up at 1,000 metres where the facade of a hotel peers through the cloudy gloom overlooking the bends and loops of the Scalextrix track of the village below. 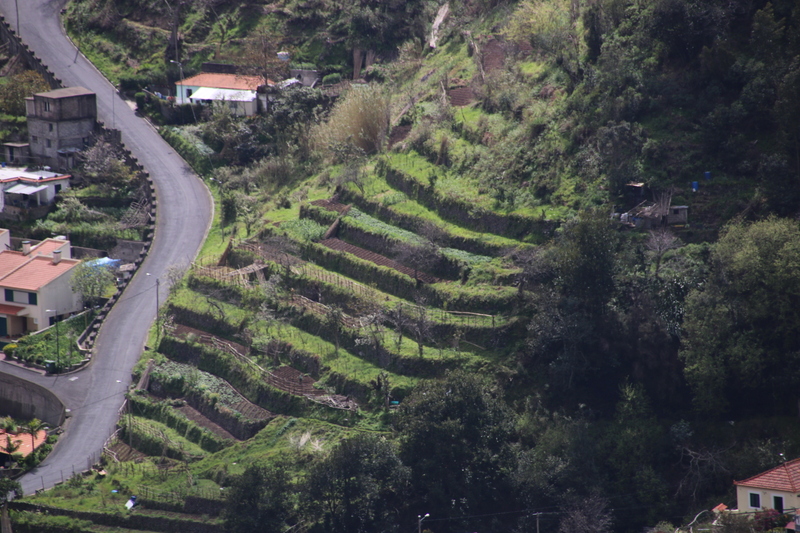 The road meanders and slaloms around the houses spread out on its play mat with the toytown cars crawling up the gradients and rushing down the bending hill sides. Now this would be the place for egg rolling.